Watch event planners from brands including Innocent and ITV share their dream event destinations with C&IT. At C&IT's Corporate Forum at Chewton Glen, Hampshire, last week (22-23 January), C&IT asked event planners from brands including ITV and Innocent to share their dream destinations for events, if money were no object. Find out what dream destinations Charlie Heavey from Innocent, Steve Hughes from ITV, Charles Perkin from Defaqto and Alex Taylor and Rachael Oliver from Cushman & Wakefield have in mind for their future events. 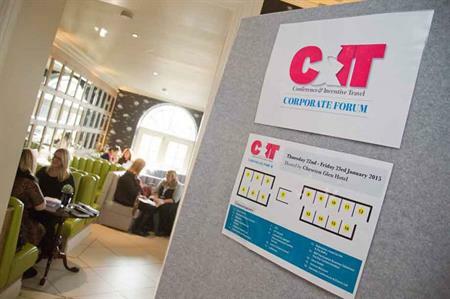 C&IT's Corporate Forum saw event planners from brands including Centrica, Danone, Canon, PepsiCo and Colgate-Palmolive come together for two days of education and networking at Chewton Glen, Hampshire on 22-23 January. Speakers at the event included representatives from Royal Bank of Scotland, Absolute Radio, Black Rock, Brewdog and Timetric.